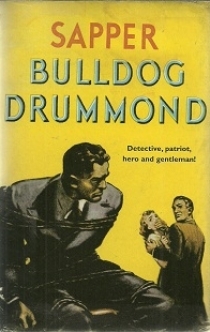 I started Bulldog Drummond keenly, anticipating a good, old-fashioned adventure with lashings of `derring do’. I’m a big fan of the genre, with John Buchan‘s The Thirty-Nine Steps and G.K. Chesterton‘s The Man Who Was Thursday among my favourites. As a further enticement, P.G. 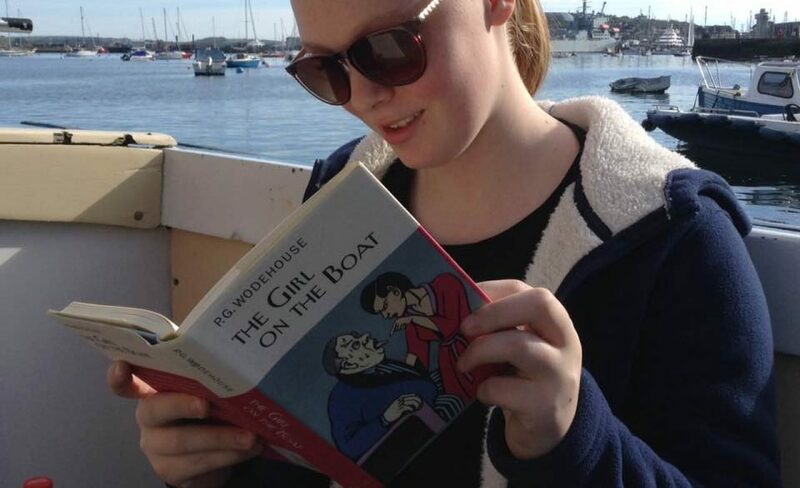 Wodehouse borrowed from the plot in one of my favourite novels, Leave it to Psmith. When a reader embarks on a novel with as much good-will as I did, one is prepared to overlook minor issues of style, plot and characterisation. In the first chapter, I made `allowances’ for the patronising, simpleton dialogue given to Mr and Mrs Denny, Drummond’s servants. They at least fare better than the Germans in the novel, who are credited with little more than grunting speech and greedy expressions. Understanding that Sapper wrote Bulldog Drummond shortly after the First World War provides some context for its anti-German sentiments (although many allied soldiers could empathise with their fellow foot soldiers in the opposite trenches). But my willingness to make allowances was seriously disturbed by a flashback to Dummond’s nocturnal adventures into no-man’s land, where he indulges a psychopathic enjoyment of killing. He continues to indulge his murderous urges throughout the peace-time events of the story. Most of the killings in the novel are unnecessary, and unnecessarily brutal. The story has some exciting moments, but the plot is thin, and its purpose too obvious to be enjoyed. I’m curious about the film adaptations though. It might work better on the big screen, where an hour or two spent enjoying an implausible adventure is easier to justify. However I don’t think I’ll spend any more reading time with Sapper’s psychopath hero. Not when there is more Buchan and Chesterton to be had. After reading your review, I would not touch the book with a barge pole. I have also enjoyed “Thirty Nine steps” and “The Man Who Was Thursday”. Chesterton’s “The Napoleon Of The Notting Hill” and Father Brown stories are equally enjoyable. I have bought a copy of The Napoleon Of The Notting Hill and am poised to start reading, but will also be dabbling in Dickens (for the first time) over the Christmas break. A another piece from the archives for your perusal while I concentrate on my NaNoWritMo novel. Slightly behind where I shoud be, but hanging in there. I’ve also had this on my ‘must read one day’ list but also won’t bother, as by now I have a strong respect for your literary judgement. ‘The Riddle of the Sands’ is rather a nice one in similar (setting not style) vein if you haven’t discovered it yet. Thanks for the vote of confidence . I do like the genre . But it was like John Buchan without the subtlety , or intelligence. I suspect Buchan shared some of Sapper’s prejudices, but could at least tell a fine story without hitting us over the head with them . Forgot to add – ‘Leave It To Psmith’ – possibly my all time favourite PGW. You have such good taste.